The company was based in the province of Pampanga in the Philippines. 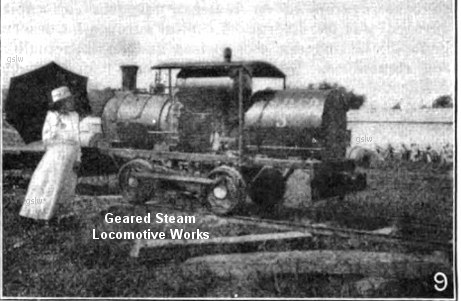 Per the article accompanying the image, the company had 4 Bell geared steam locomotives. The company was based in New York City, New York. 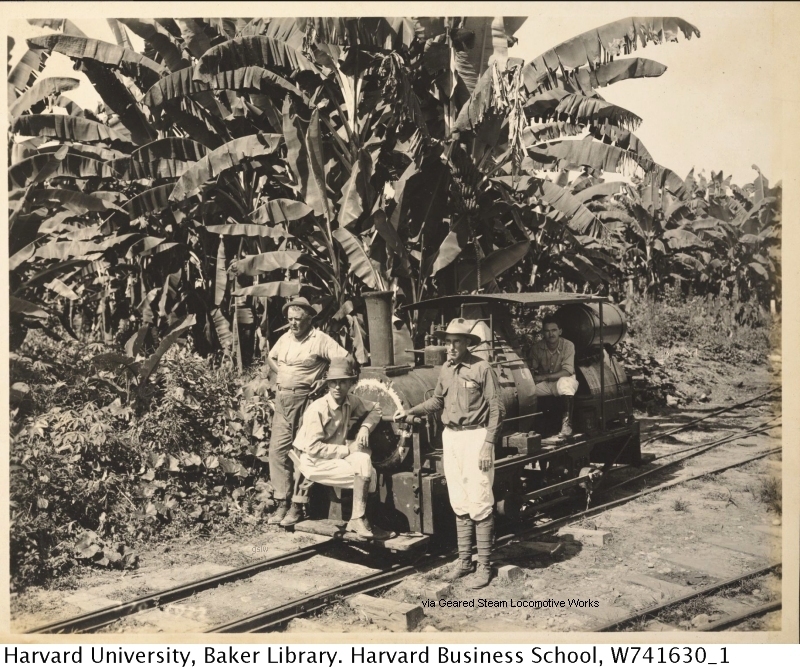 The photo is believed to have been taken at one of their banana plantations in Central America in 1922. 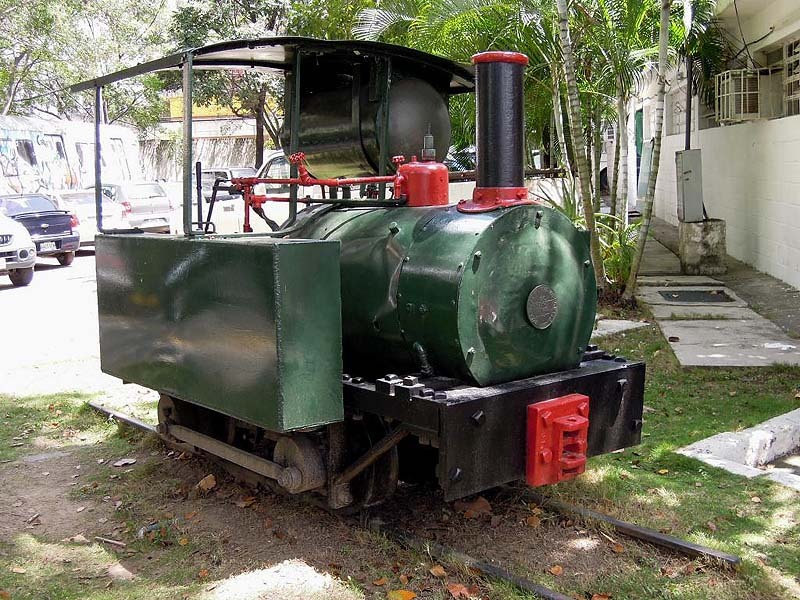 The locomotives appears to be a 4 wheel unit running on narrow gauge track. The image appeared on page 445 of the 1909 edition of Engineering and Contracting. 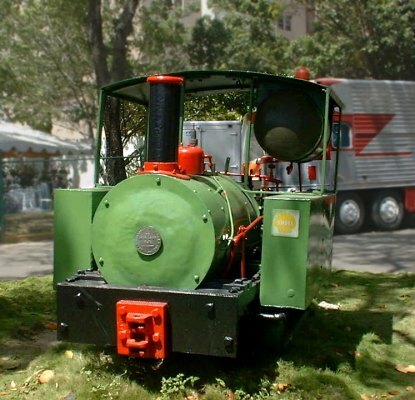 This locomotive is the ONLY known Bell geared steam locomotive to exist at the current date (February, 2015). ~ Upper - The International Steam Pages. Taken at The Transport Museum, Caracas, Venezuela on October 20, 2013 by Steen Larsen. 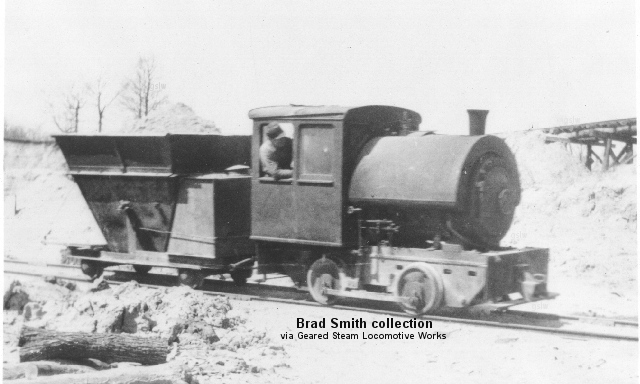 Low and Compact body Bell locomotives similar to this one were used underground in the construction of New York City's subways. 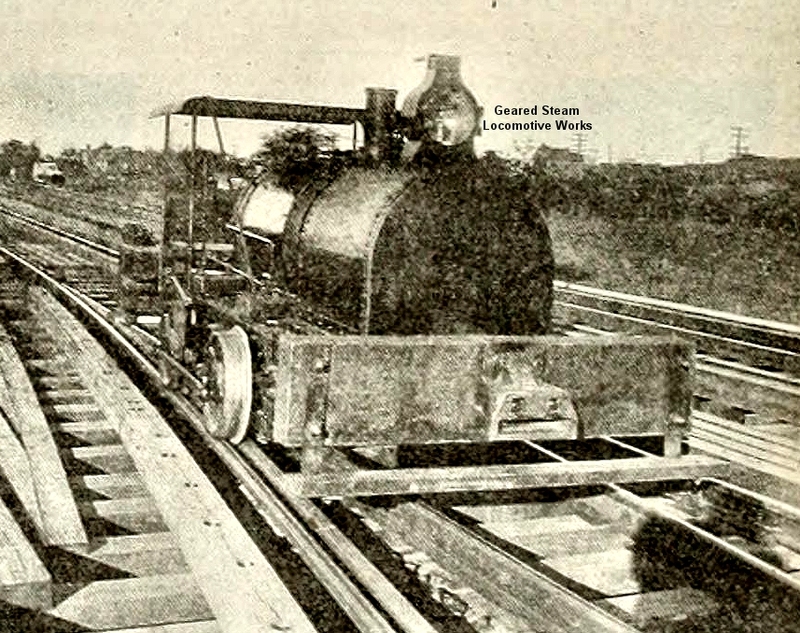 This particular locomotive is shown on the Lexington Avenue section of the subway system. 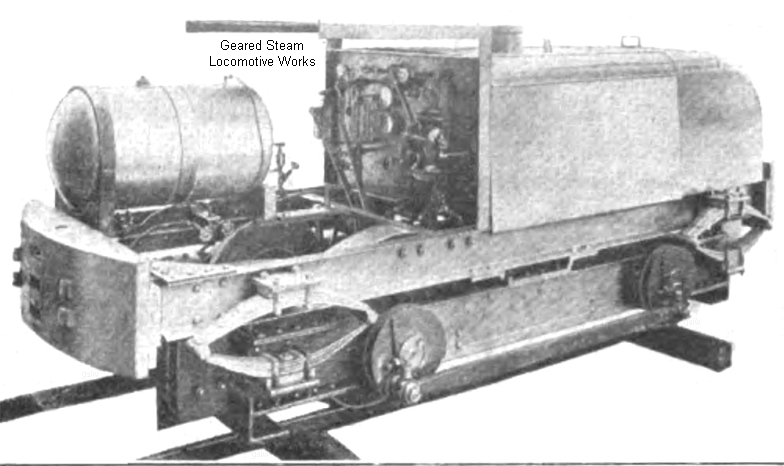 The image appeared on page 965 of the May 20, 1915 issue of Engineering News. 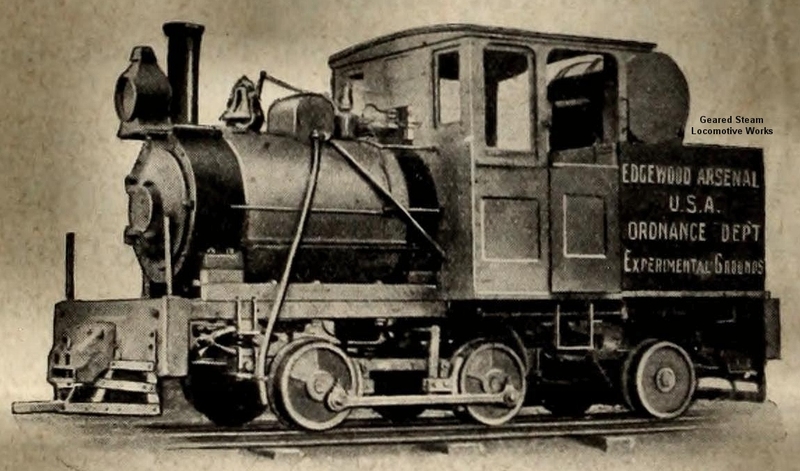 Low and Compact body Bell locomotives similar to this one were used underground in the construction tunnels of the New York state Catskill Aqueduct and New York City subway. This particular image appeared on page 964 of the May 20, 1915 issue of Engineering News. 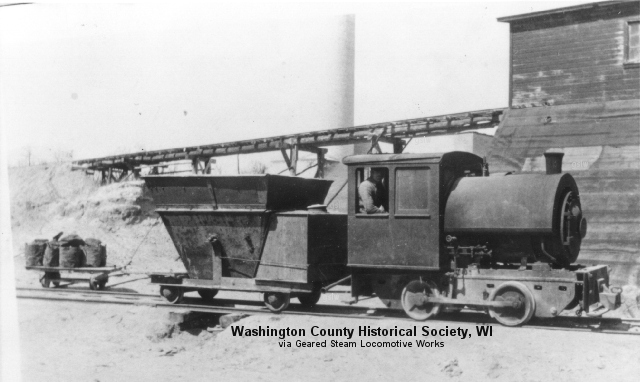 This narrow gauge locomotive was used to haul sand to the factory to use in the brick making process. The sand was dug by the company's steam powered shovel from a nearby hill on company property. The hopper car in the photos carried the sand from the hill to the factory. 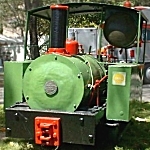 On some return trips to the sand hill, it carried water in the tank at the front of the car to supply the steam shovel. Bags of coal are on the small cart located to the left background of the hopper car in the upper photo. One bag was carried on each return trip to supply the steam shovel. The company was a construction contractor in New York. 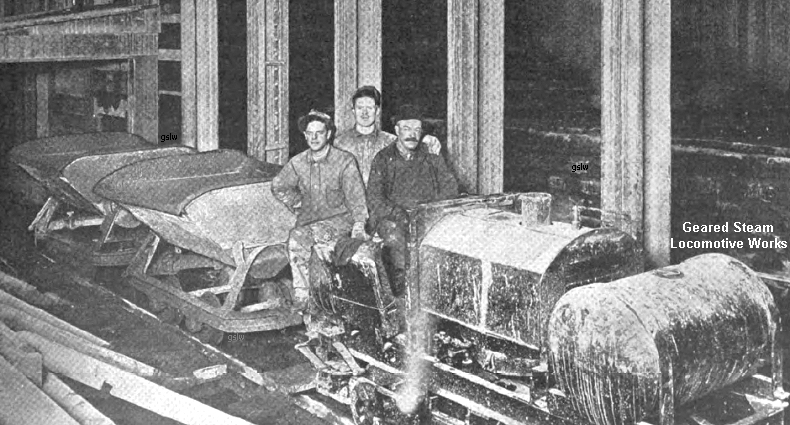 They assisted in the construction of the New York City Subway. 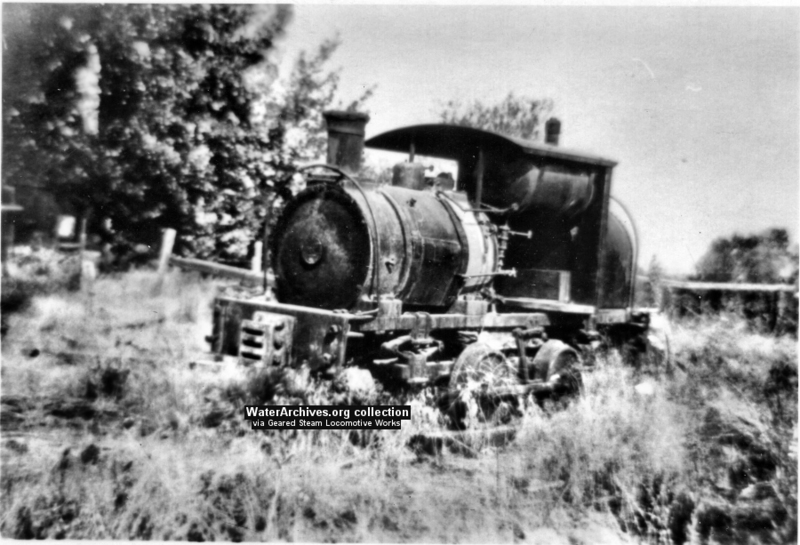 Nothing is known about the locomotive, where or when the photo was taken. From its apparent condition in the photo, it may be new and in transit to Terry & Tench from the Bell factory. 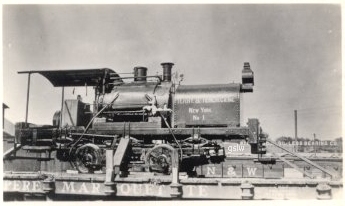 The United States Government - used this locomotive to build the Black Canyon Dam near Emmett, Idaho. The photo shows the locomotive in a field near Boise, Idaho. 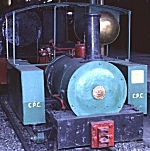 The locomotive resembles the "open cab type" model.